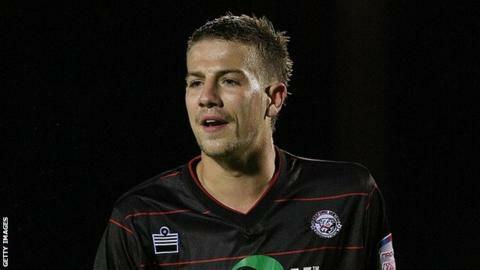 AFC Wimbledon have completed the signing of Hereford United midfielder Harry Pell for an undisclosed fee. The 21-year-old, who began his career at Charlton Athletic, is the League Two side's third signing this month. Dons assistant Neil Cox said: "We knew that four or five clubs were having a look at Harry and we are really pleased to get his signature. "Hopefully, he will add a bit more pace and aggression to the midfield and give us a different option." He added: "With the new players that we now have in the squad, places are up for grabs and it is good for competition."